What would Christmas be like if we didn’t have our favorite carols ringing the airwaves 24 hours a day between Thanksgiving and December 25? From classics sung by Bing Crosby, to modern hits from Mariah Carey and the Trans-Siberian Orchestra, the holidays are filled with hum-worthy favorites to help anyone get into the spirit of the season. The latter in that set, Trans-Siberian Orchestra, is getting a little extra love this year. 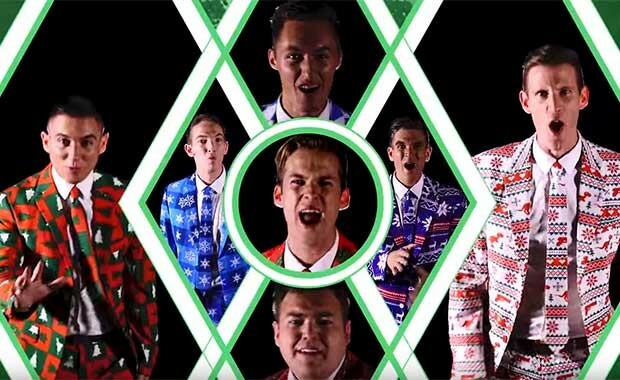 The orchestral song is one of the most popular Christmas songs from the symphony group and BYU wanted to offer their own version by tackling the song, but amazingly doing so without the use of any instruments. When you hear their voices, you’ll be amazed. At times, it’s difficult to tell the difference between them and the original musical score.